DIY Boeing 737 Overhead Panel - Part 4 - Little White Toggle Switch Caps | Life, The Universe and ... Everything! 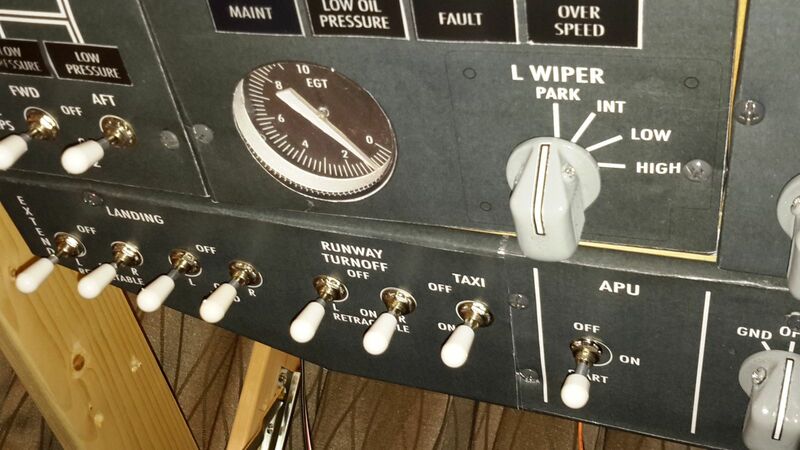 The 737 overhead panel has around 70 toggle switches. The ones I've used are readily available at most electronic stores and also on eBay, and are great for their cheap price -- you can get 10 pieces for around USD2 with free shipping. 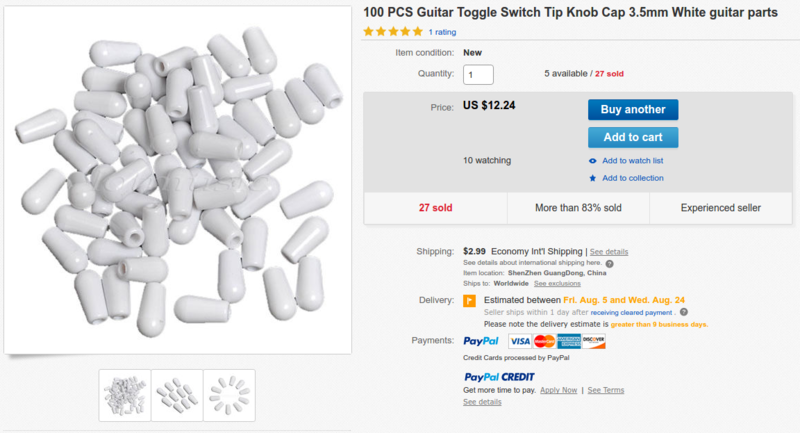 They do the job, even though they're not quite in the same league as the original switches -- which is acceptable if you're on a budget. The original switches come in two varieties, standard levers and "locking" levers. The locking variety require they the lever be pulled outwards before they can be repositioned, and are used for the more critical functions on the panel, to ensure they don't accidentally get toggled. You can tell the locking switches from the regular ones from the shape of the lever: the locking ones have a bulb head so allow your fingers to grip them as you pull the lever outwards. 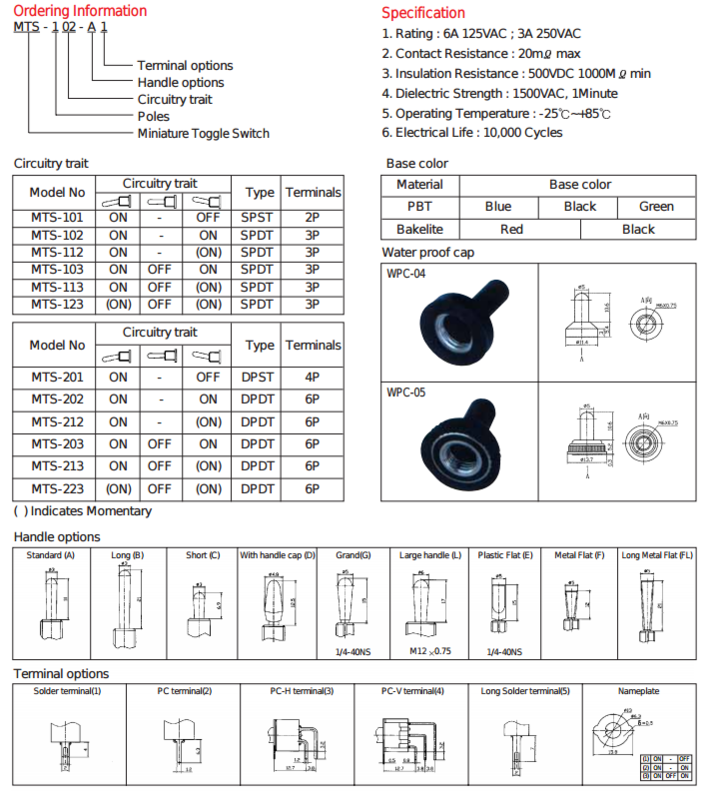 It's possible to buy these kind of switches and fit them to your own DIY cockpit, but given that they go for USD30-60 each they're pretty much out of the picture for me. These looked like they might do the job so despite being slightly pricey I went ahead and ordered them. They took about 6 weeks to arrive, so I had almost forgotten about the them when they showed up. An initial test fit showed that the hole on them was slightly wider than my toggle switch levers, so they would not sit on securely. 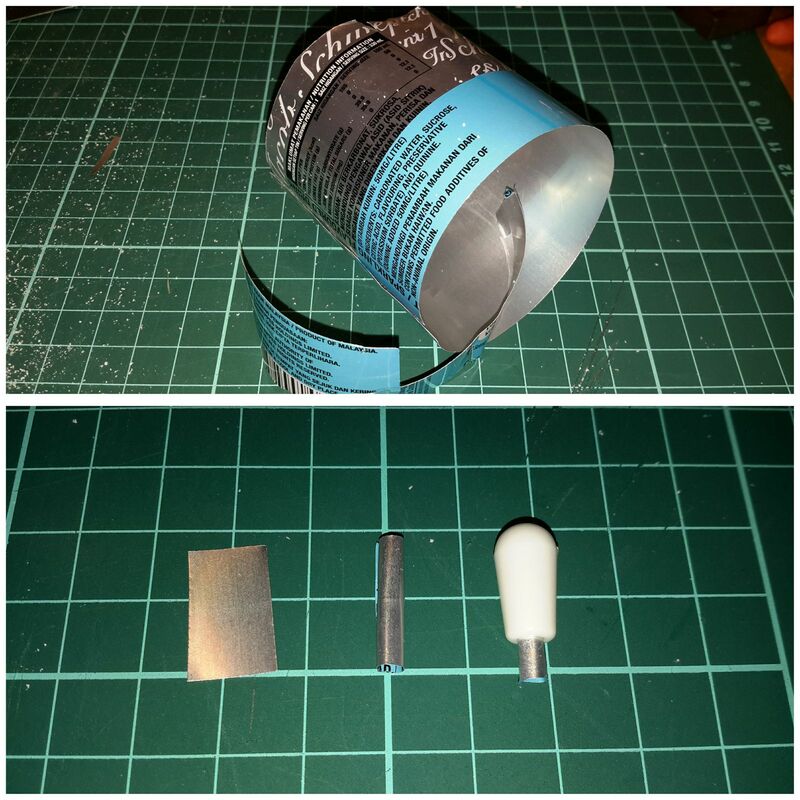 I solved this my cutting up an aluminium drink can, and using the aluminium material to roll a thin tube and inserting this between the lever and the cap. 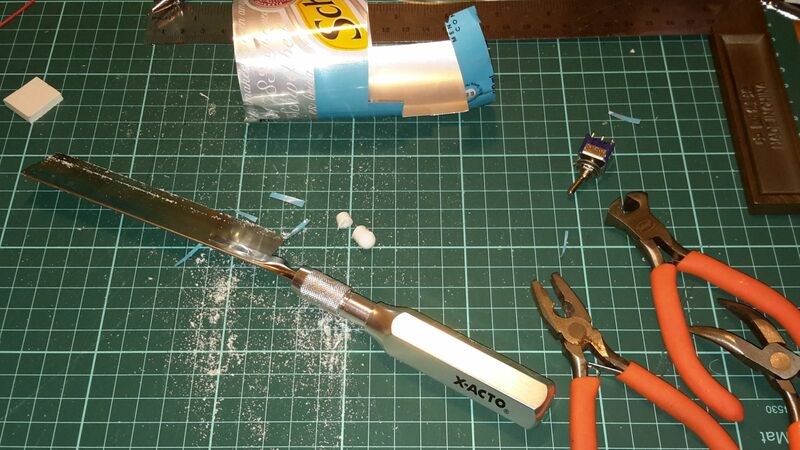 The aluminium is thin enough that they can be cut with regular scissors. I found the tube also helped to stabilize the cap on the lever. To make them slightly more realistic, I sawed off the bottom half of the caps for the levers that are supposed to be locking to simulate the "bulb" head. It's a purely cosmetic improvement. The caps add a few mm to the length of the levers, which does change their feel a lot. It takes a bit less effort (maybe a little too little) to flip each switch, which takes a bit of getting used to. The tolerances on the caps (and probably the "home-made" aluminium shafts) aren't too great, so some of them do sit a bit loose. I plan to add a blob of hot-melt glue to keep them in place once I'm done with the electronics (you can't dismantle the switches with the caps in place, unless you re-melt the glue with a hair dryer, so I'm leaving this for last). One slight niggle is that the levers on these cheap switches actually rotate in place. It's not felt so much when you're dealing with the naked levers, but with the caps on the rotation is more obvious. You have to learn to push the levers from the side, rather than grip them like a radio knob so that you don't feel this rotation much. Given that I've paid less for all the switches + caps than one proper locking switch, it's an acceptable compromise.